The Witcher vs. The Witcher 2 vs. The Witcher 3 - Side-by-Side Comparison; How has the Series Evolved? 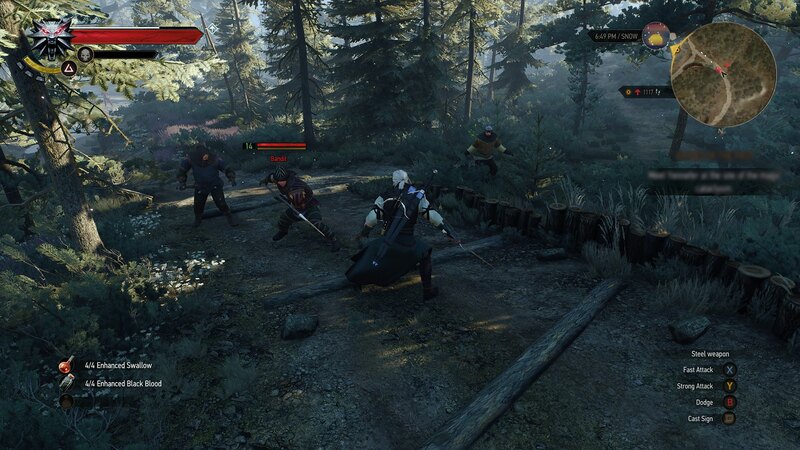 The Witcher vs. The Witcher 2 vs. The Witcher 3 – Side-by-Side Comparison; How has the Series Evolved? GameRevolution has provided a side-by-side comparison between the three iterations of the Witcher, detailing gameplay, fighting mechanics graphics and more, and showcases how the Witcher series has evolved. The Witcher 3 would have definitely evolved much more in the graphics department if it wasn’t for the current gen consoles holding it back. If the game was a PC exclusive it would have at least looked as good as the early build we saw when the game was announced back in 2013. The fact is though that The Witcher 3, is still one incredibly good-looking game as is, and will likely be one of the year’s best games. No matter if we like it or not parity with consoles is a reality , and while the PC most times gets the best version of the bunch, it still is a long way behind what it should have been. An uncompressed version of the trailer can be watched or downloaded over at Gamersyde. CD Projekt is a developer that values customer feedback as well as the wishes of the community and its fans, and that has not changed. Even if they tried to accommodate the market in general, and provide their game to a larger audience, this will enable the studio to enhance their development and bring us even more great games, as in the case of their next open world RPG Cyberpunk 2077. Things could have been a little different, maybe it could have been for the better, or maybe not, but The Witcher 3: Wild Hunt, will surely be one great title that will provide countless hours of entertainment for fans of the series and newcomers alike. The Witcher 3 is just over a week away from release, and as we have previously covered, CD Projekt has already announced that pre-load options are already live, as well as the unlock times for The Witcher 3.